Texas' most well known and collected western artist. 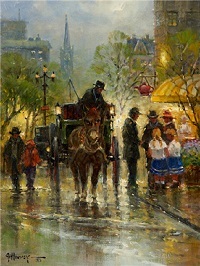 Mr. Harvey's works range from working cowboy travelers, period landscapes and the Civil War. He was honored with a one man show at the National Archives and later that year 1991 he again exhibited works at the Treasury Department culminating in another one man show at the Smithsonian Institute. 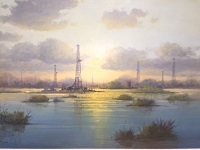 One of his paintings, "An Evening with the President" was given to President George Bush.